As we strive to make trading available to everyone, our main goal is to make a clear, fast, accessible and affordable platform. 20 million people across the world have already joined IQ Option and experienced the power of ultimate trading. Why do traders chose us? With IQ Option you can trade such assets as Forex pairs (ex: EUR/USD, GBP/USD, AUD/CAD), indices (ex: DAX 30, FTSE 100), commodities (ex: gold), and equities (ex: Nike, Google, Apple) on a wide range of devices with our mobile and tablet apps, desktop application, and web version. It is only fair to pay for the services you truly like and not for the ones you don't. That is why we offer you a free $10,000 reloadable practice account. You will not need to enter any card details until you actually decide to make a deposit. With our app it’s just one click to kick off your trading. With investment amounts as small as $1 you will have plenty of space to experiment comfortably with your trading. The practice account remains available, and you will be able to switch between balance types at any time. On your trading journey you will need practice and patience, but even more than that you'll need friendly support. That is why our support team is here for you 24/7, happy to help via live chats, calls and messages. We speak 16 languages! To make your market research easier we will provide you with the most up-to-date data in clear language via emails, blog articles, and education features on platform. Don’t forget to join the 700k Community and follow us on Facebook for breaking news and daily updates. Please note that a network connection is required to trade with this application. Smaller bug fixes and performance improvements. Can't really call this app 'options' anymore since all the binary options has been removed from the App Store now. Reading the reviews it looks as if people didn't read the T&Cs of the app, I hope apple give binary options back to iq options iOS app because they are completely legit and one of the more reliable platforms. I've withdrawn from them with no problems (less than my deposit) and it's super fast, literally went into my bank account the next day, maybe even the same day but I didn't check. I've never received one phone call from them asking me to deposit money like all the other trading platforms have, I've spoke to customer support but only when I've phoned them myself and they are very helpful. I think apple should give them their binaries back on the app or IQ should make a 3rd party profile app to install from safari if that's allowed. I for one am sorry to see this happen. Thank you for your review! We hope that we will be able to return Options to our iOS app. At the moment, you can find it on PC or Android. After depositing £10 to ‘try out the app’, I placed £5 on BitCoin to jump on the bandwagon. Then later, put my remaining sub £4 on something called ‘Ethereum Classic’. Imagine my surprise, when a few days later I see that my initial investment in Bitcoin is Now showing ‘£3.78’ and not the aforementioned £5. After contacting their ‘support’, I was told that this was not the case and I hadn’t put £5 on.. despite being sat with a colleague when placing it. After several days, I gave up and just accepted they would not budge anywhere. I submitted my verification documents well within the 7 days, sure enough on the last day for me to verify my account they decided what I had provided wasn’t sufficient and have now suspended my account. My money is stuck in limbo and their support is awful. Most of the time you receive a ‘an English speaking member of the team will assist you within 24hours’. As soon as I can, I will he closing my account with them and protecting my money and details. AVOID THESE PEOPLE. I worry for my colleague who has over £11,000 invested through this app. Hello! Thank you for the review! Our specialists will explain why do you have £3.78 instead of £5 and help you to verify the account. 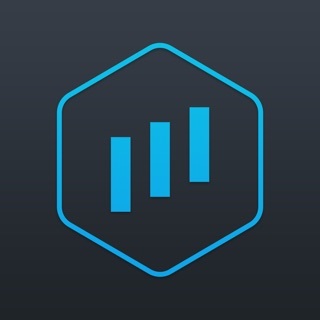 I’ve been using the app for around 2 years now just training and developing skills on how to be professional within trading, I’ve gained a lot of knowledge and was ready to trade, I signed up but I’ve been categorised as a retail trader. I believe I am perfectly able to trade responsibly and with the funds I have put aside to invest into trading and I’ve been taking part in seminars and workshops to teach me how to trade. I want to have access to all features such as binary and higher leverage, as I have been disciplined on my trades. But I have to have worked in the financial sector for 2 years and need a capital of 500,000 which I think is disappointment to someone who is interested in becoming a trader. Is there anyway I could have a professional account around this? Hello and thank you for your review and feedback on our product. We are sorry that you can not trade your favourite instruments anymore. Due to ESMA new regulation we indeed had to ban Binary for retail traders. Did you apply for Pro Status? You can do it from your personal cabinet on IQ Option account.